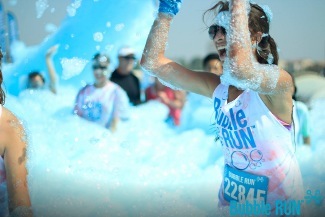 Would you love to work closely with the Bubble Run? Do you want to receive $25 worth of free Bubble Run Merchandise when you have completed your ENTIRE shift? Do you want to both be a part of the Bubble Run experience while also making it better for participants? Did you answer 'yes' to any of these questions? We thought so. 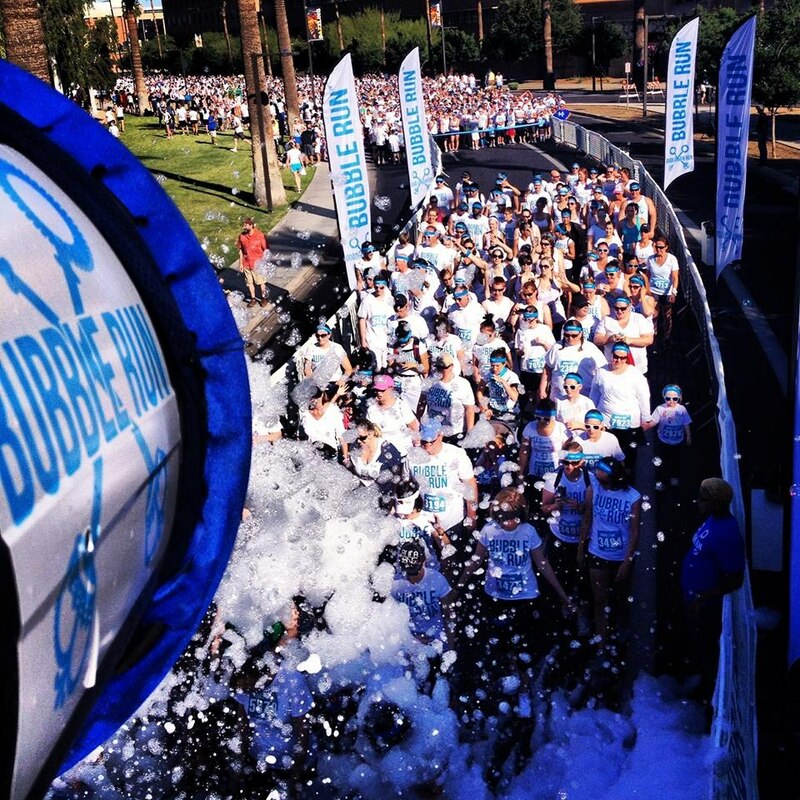 We want you to volunteer to work with the Bubble Run! Sign-up for a city near you! 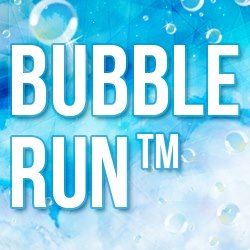 Bubble Run- welcomes volunteers age 16 and older. If the volunteers are below the age of 18, they MUST have an adult supervisor (parent, teacher, guardian, or club director). No volunteers under age 16 are allowed, for safety and logistics. * If you are volunteering to complete community service hours, we require that you bring a form that is to be signed by the Bubble Run- supervisor at the time you volunteer. **Thank you so much for signing up to volunteer! Please note that we will try to keep you in your preferred volunteer position. However, we may need to move you into a new position to cover areas that have the greatest need. You'll get to help us set up the event by working with the build crew on barricades, fencing, flags, pop-up tents, tables and more! You will receive a FREE race entry for your support. Collecting waivers, checking IDs, checking for completion of registration, distributing race bibs/t-shirts, restocking shirts, or working in the Bubble Store. You will receive a FREE race entry for your support. Collecting waivers, checking IDs, checking for completion of registration, distributing race bibs/t-shirts, restocking shirts, or working in the Bubble Store. Working in the Bubble Store to assist customers with cool new Gear. You will set-up and hand out water. Our runners are a thirsty bunch, so your job is very important. Your job is to direct the way and keep our runners safe and on track, using batons and vests to mark the course. Can be moved to any station, just let me know. This is where the Bubble magic happens! You will blast our runners with colored foam and it will most likely be all over you as well! Care must be taken not to waste the foam, and not to hit our runners directly in the face. I'm new to the area & I have never heard of such an amazingly fun event before now. I love being around people and sharing in laughter, fun, and being apart of others greatest memories. It would be an honor if I could volunteer at this spectacular event. This is where all the excitement happens. You will hand out medals to our Bubbly finishers!